I am so pleased to announce that years of hard work have finally paid off. 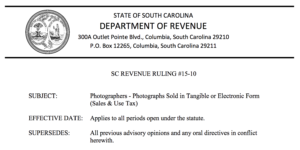 Electronic delivery of imagery is officially tax exempt in S.C.! While various tax professionals have received verbal clarifications on this subject over the recent past, an official Ruling was recently signed by the Director, eliminating any ambiguities. As long as no tangible, personal property changes hands (thumb drive, DVD, CD, hard copy prints and proofs) you are not required to charge sales tax. Please make note on your client invoice that you delivered the work electronically so you can then appropriately exempt these sales from your monthly sales tax report. When filing electronically simply total up your electronically delivered (in-state) projects and type in the exemption as “Sales not subject to tax.” If at a later date you sell a print to your client from that project, just the print sale is subject to sales tax. Hopefully you will never need it! 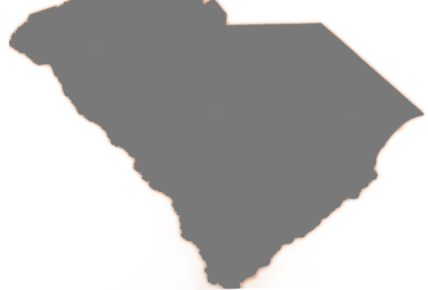 If you have questions or if ASMP/SC can help in any way, visit us on facebook and join the conversation!